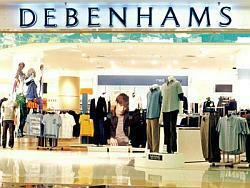 However, for the everyday shopper there is plenty to tempt one into a trip across the border. If you’re craving a visit to a ‘western’ department store or branded high street shop then a cross border shopping trip is sometimes hard to resist! From well-known Europeans names to small boutiques and stores, there should be plenty to satisfy you in the south if you want a shopping fix! You can now cross the border on foot at two checkpoints in Lefkoşa, one being Ledra, taking you past the Ledra Palace Hotel which now houses UN staff, and the other being at Lokmacı which takes you straight through to the far end of Ledra Street in the south where you will find large local stores such as the Debenhams department store. Continue walking south and you will soon reach Makarios Avenue where you will find three more Debenhams stores (yes three!) 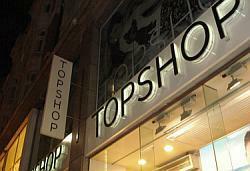 and other high street chains such as Next, M&S and Top Shop. For those who had lived in North Cyprus for some time, it was something of novelty to be able to see these shops which were only previously seen on a trip back to the homeland. Prices were somewhat high though, given that before the euro was introduced in 2007 everything in the south was labelled and priced in pounds – but the actual currency handed over was the Cyprus pound which actually cost British shoppers 20% more than if goods were priced in the pound sterling! There are also other shopping options in the south which require the use of a car, and the most popular border crossing for many is the Kermiya crossing just on the outskirts of Lefkoşa. 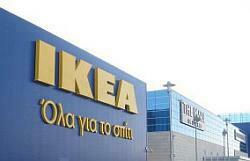 Out of town shopping options include the Cyprus Mall, opened in 2007, which features an Ikea of all things! Much too hard to resist, the place has been visited for its flat pack furniture and scrumptious interiors on a regular basis by many who live in the North. The same goes for DIY stores which offer a wide choice for consumers, with Super Home Stores near to the Cyrus Mall and Kermiya. Again the shopping centre is home to major high street brands like Mango, Zara and Debenhams, and has a wide choice of shops from books stores to computer equipment shops. 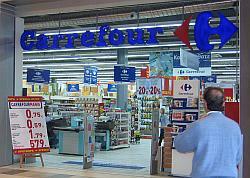 Also the Cyprus Mall conveniently has the French Carrefour supermarket chain to tempt those on a food shop too! 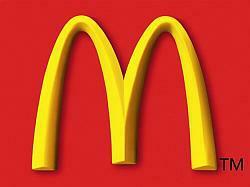 You can sit and have a coffee at Starbucks or tuck into a meal from any of the familiar chains at the Food Court such as McDonalds or TGI Friday’s. Supermarket shopping is a popular pastime for many who like to buy a few treats and things which are not readily available here in North Cyprus, and you can reach the Alphamega supermarket in around 5 minutes by car once you have crossed through Kermiya. Others include the Carrefour supermarket chain, with branches at the Cyprus Mall as mentioned, but also in a small shopping centre just 5 minutes drive from Kermiya. Particular delights are things like Häagen-Dazs ice cream or a decent range of cheeses! Some goods are also quite a bit cheaper than in the north, with major items such as washing powders or electrical items being a better bargain in the south. As you can see, the pull for consumers is clear, but there is perhaps a downside in that it is having a detrimental effect on trade in the north, as shops and services can neither compete in price nor choice. With the arrival of more consumer hungry expats who perhaps feel the need to have more choice, or for those who just want to be able to find what they want more quickly it’s a tough call to dismiss or praise the merits of cross border shopping. However, it’s here to stay, so if you do need a shopping fix of more western proportions then who are we to say no! !